Family holidays are always exciting. With much to prepare, travel insurance is rarely high on the agenda. But, without it, cherished family memories can instead become living nightmares. Claims can arise from a wide variety of risks, including overseas medical expenses, emergency evacuations, lost baggage, theft of money and personal property, and rental car excesses.  Responding to the challenge, JMD Ross Insurance Brokers has partnered with leading travel provider Insure4less to give our valued clients a range of options to suit all needs and budgets. JMD Ross conducted a lengthy and highly considered selection process, with breadth of coverage and ease of completion the highest criteria, before selecting our partner. Underwritten by global insurance giant Berkshire Hathaway, JMD Ross’s travel cover offers varied options for individuals and families, including an option for annual family cover, enabling a simple annual purchase to cover all family members’ trips throughout a year. Click here for your personal and family travel insurance solutions.